Overall Winner of the 2013 CEFPI Regional Award. Visit the CEFPI Website and WAN website for more details. 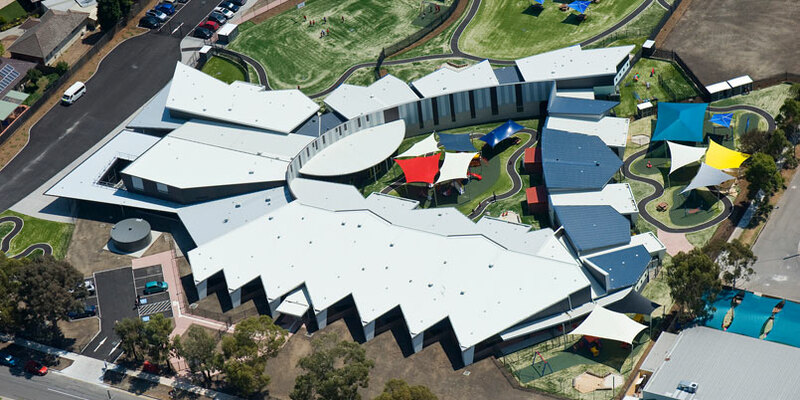 Longlisted in the Final 16 of the World Architecture News Awards 2013 - Education Category. 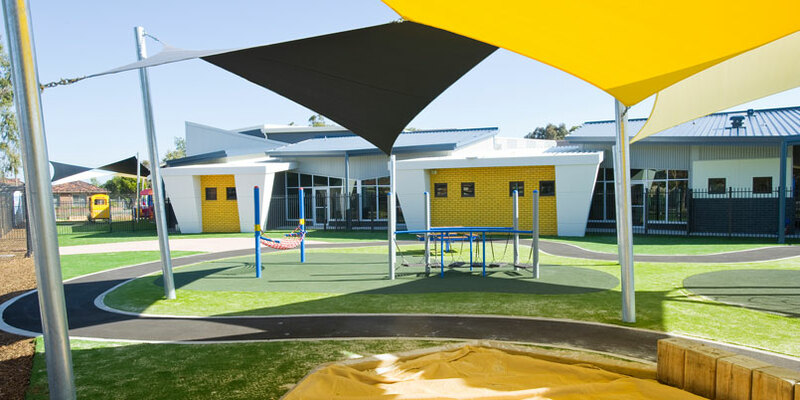 This project is a school for students with autism. 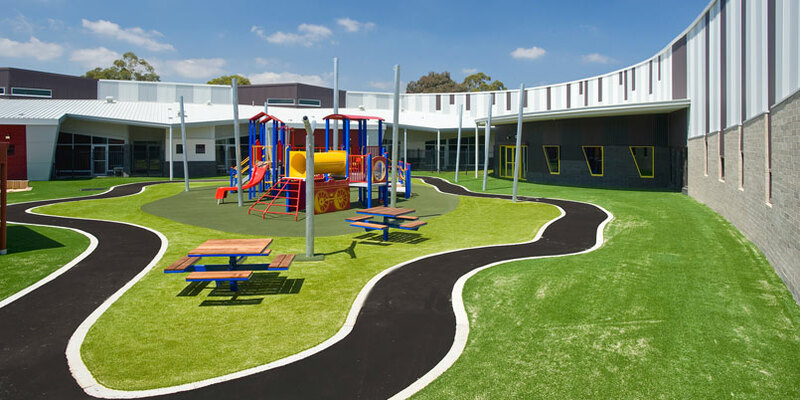 It groups the student learning spaces around a central courtyard and provides individual access direct to play for all learning areas. 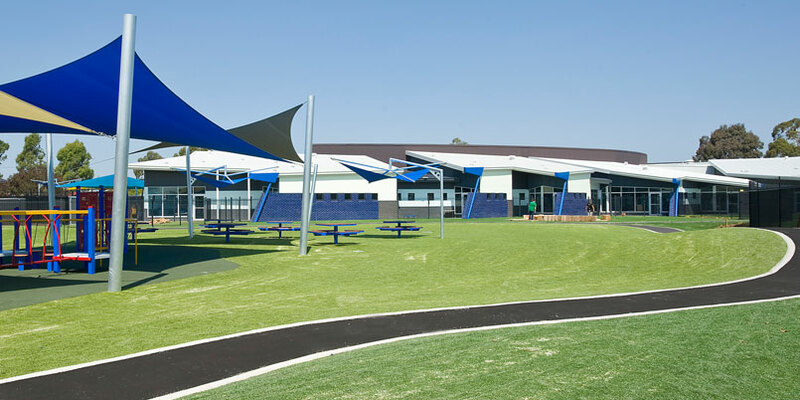 It uses a cut roof edging to allow north sun penetration to all rooms plus covered outdoor learning space. 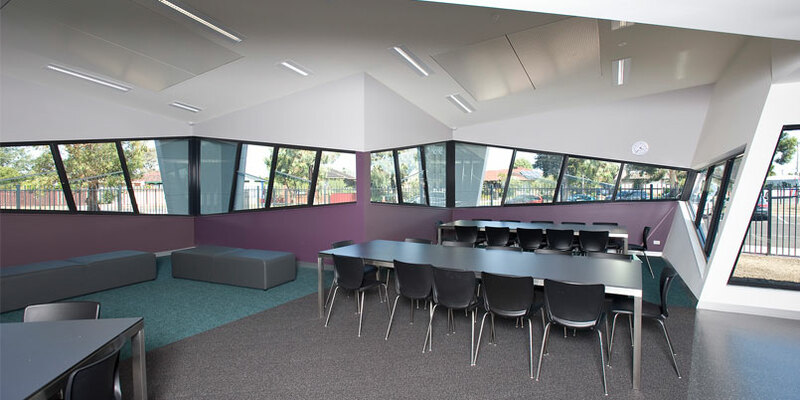 Learning areas are assembled around strong curved circulation routes that are purposely non-interactive with learning areas to reduce distractions. These routes are defined in the building for students to understand. The building applies the cut edging to the staff/admin areas facing south, enabling staff spaces to be enjoyed as individual spaces. Access points are the secure bus drop off. 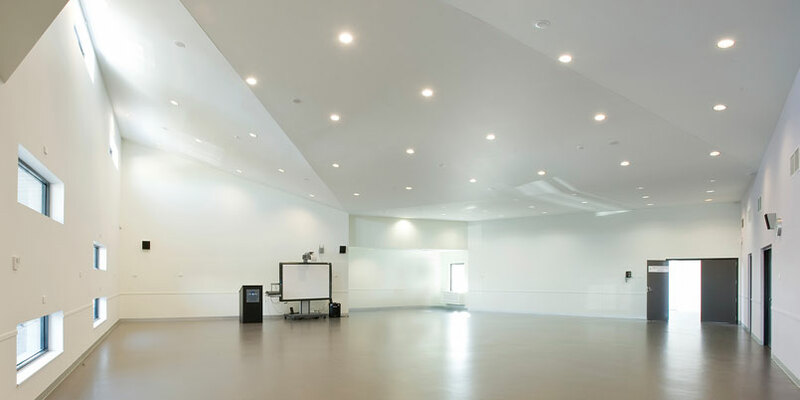 The building provides an integrated connected group of subschools in a community yet gives all student learning an individual controlled outlook breaking the learning down to calm, small group spaces for 6-8 students. The design contrasts the perimeter edging to the inner arteries creating a living form. 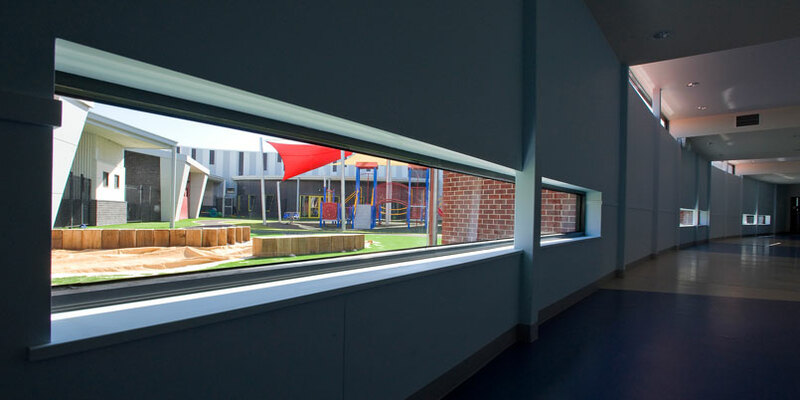 The language of the schools cut façade extends to 3 different streets with a protected inner core space for junior students. 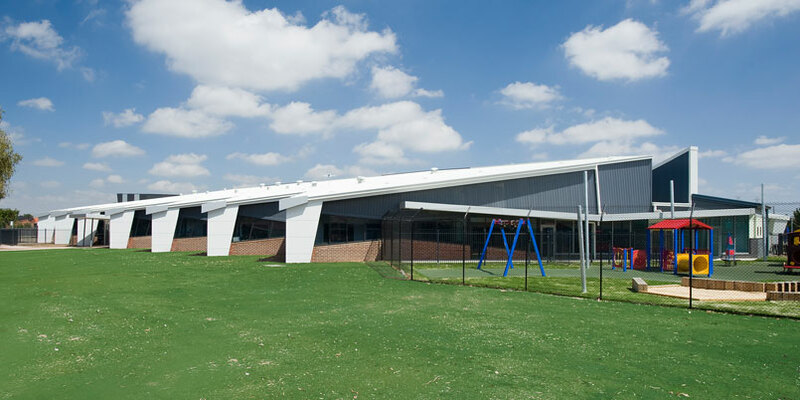 Winged roofs reach out to the bus drop off to give covered separate secure access for senior and junior students from the bus area.